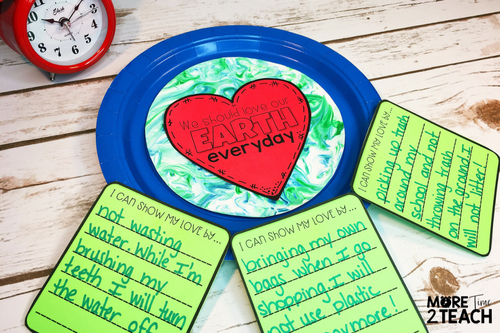 With Earth Day right around the corner, I’ve been busy planning a fun-filled week for my kiddos! 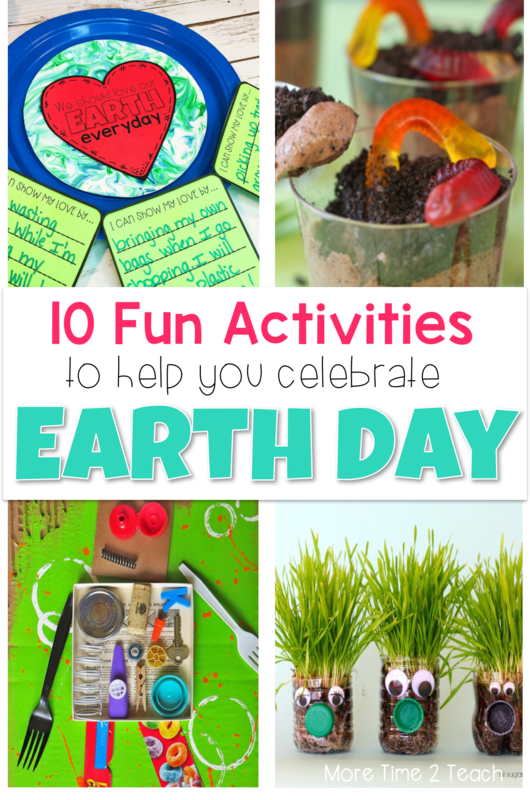 We’ve been so crazy busy lately prepping for testing, that I think a week of some Earth Day fun is exactly what we need. Can you relate? I thought it’d be nice to start off the week with something sweet! 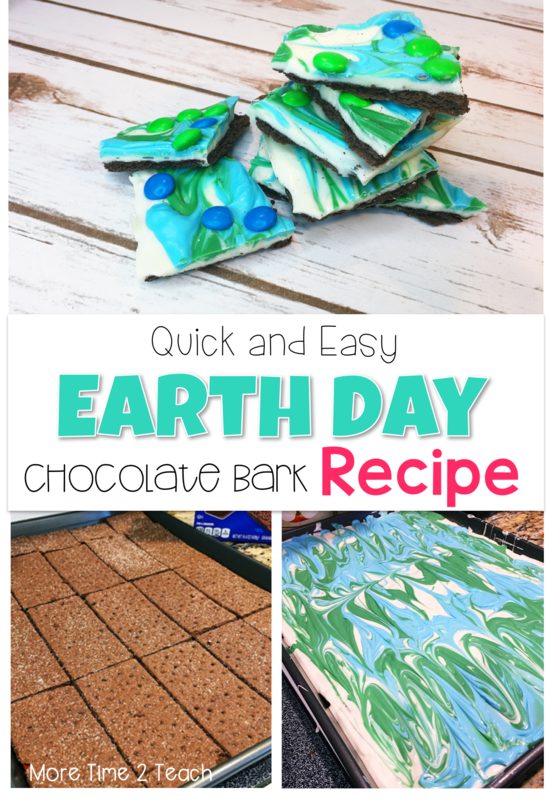 I mean who doesn’t like chocolate bark… Beware, because this stuff is DANGEROUS! It’s so addicting that you’re gonna wanna make a double batch. Trust me… I speak for experience. Make one batch to take to school and another one to stash away at home. It’s THAT GOOD!!! And if you’re not much of a baker, no need to worry because there’s NO BAKING involved. Here’s the recipe. Here’s a craftivity that has been a hit with my kids for the past 2 years and involves SHAVING CREAM! You heard me right… Using shaving cream and food coloring the kids make the cool patterned design on the Earth you see above. The best part of this craftivity is that only thing you have to do is gather a few supplies. I’ve done all the work for you! Just click here to download a set of directions and the free printables. This next activity is a little more complicated. 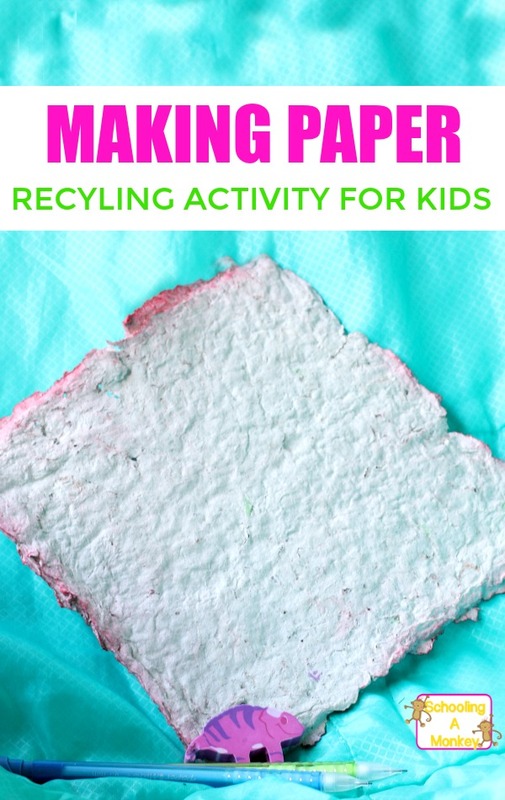 But if you’re kids are like mine and have ever asked how recycled paper is made, then you might want to consider it. Schooling A Monkey does a great job of explaining how to make paper using recycled egg cartons. This is definitely one of those memorable activities that I think will lead to exciting discussions around the dinner table! 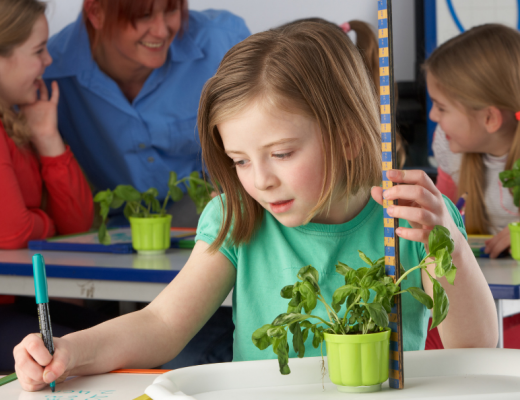 What I like about this activity from Proud to be Primary, besides the fact that I think it’s adorable and would make a cute bulletin board display, is that it involves writing. 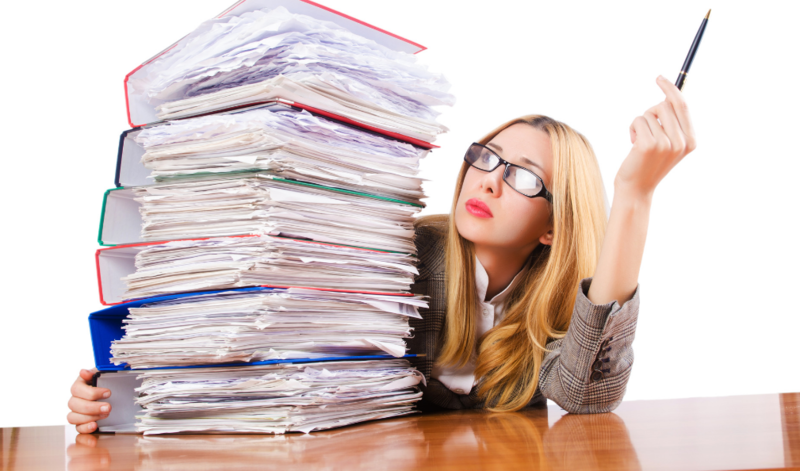 Anytime I’m able to squeeze in some extra writing, I’m there! 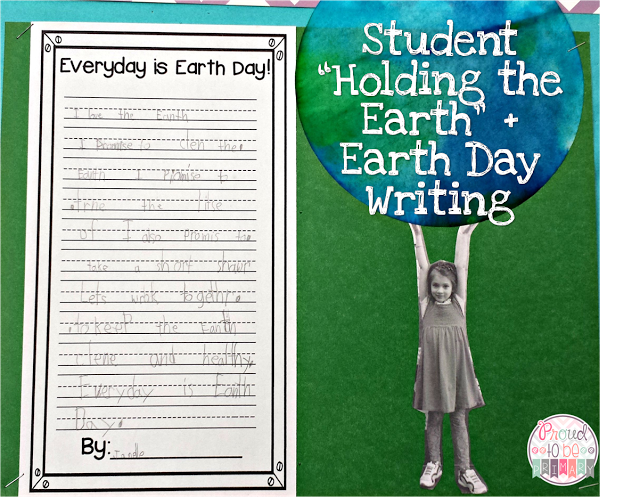 I also love how Elyse has her kids write about how every day is Earth Day. I TOTALLY agree with her! 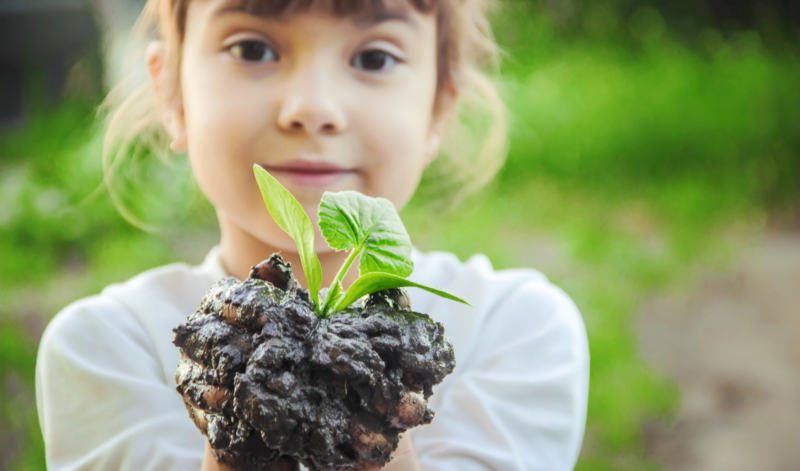 I think we need to teach our kids to not only pick up litter on Earth Day, but every day. Just the other day, I remember having a discussion with my kids about trash on the floor in our classroom. It seems that every time I ask them to pick up a crayon from the floor or a piece of paper their response is usually, “But it’s not mine!” It doesn’t matter if it’s yours or not, we all need to chip in. Don’t you agree? When I came across this next craft, I couldn’t help myself! It looks just SO EASY! Although Hi Sugarplum doesn’t really go into details about how she made these adorable little plant people, I think it’s pretty self-explanatory. 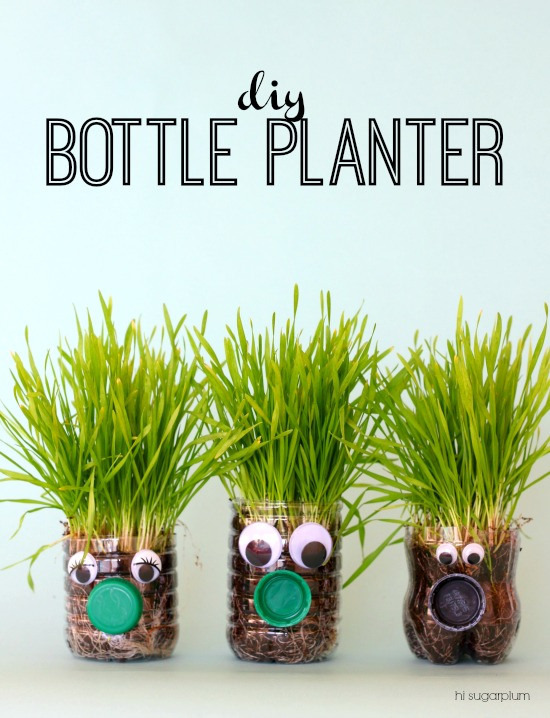 All you have to do is have your kiddos collect colored bottle tops and each bring in an empty water bottle. Then you’ll just need some soil and grass seeds. When my students create these little critters this week, I’m going to have them name them and write an Earth Day story about them. 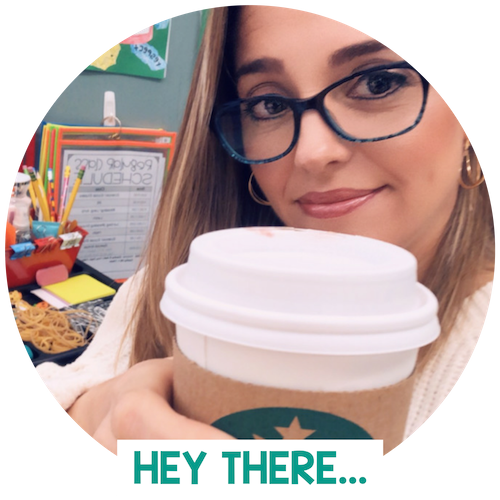 Another writing activity… YAHOO!!!! This next one is perfect for the end of the school year when your kids crayons can usually be found on the floor. I swear that every day I must pick up at least 10 crayon stubs from the ground.. and yes of course they NEVER belong to anyone! No worries, just start collecting those neglected little crayon pieces and throw them into a plastic bag. Then follow these directions from Jen over at Sparkling in Second. 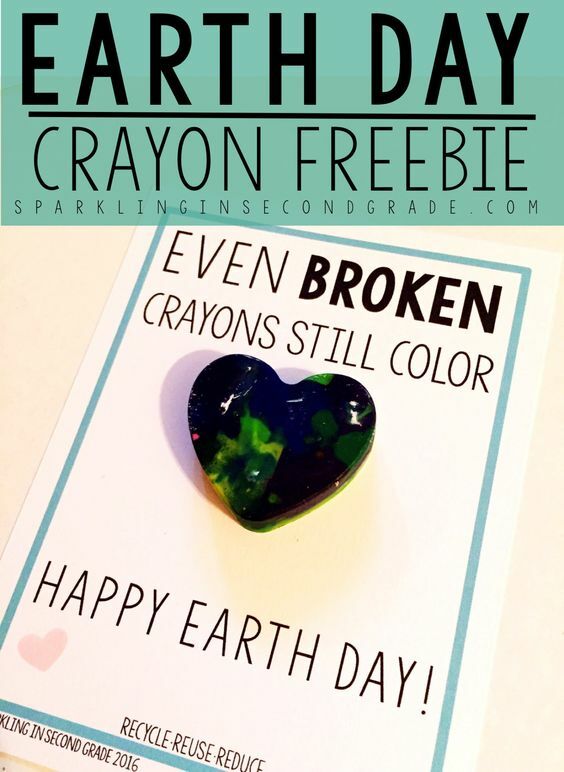 She makes the cutest recycled crayons and swears that it is the simplest thing to do. Isn’t that Recycled Robot just the coolest thing ever!!!! This fun craft is pretty easy to make and doesn’t really involve you buying anything so that’s a win right there. 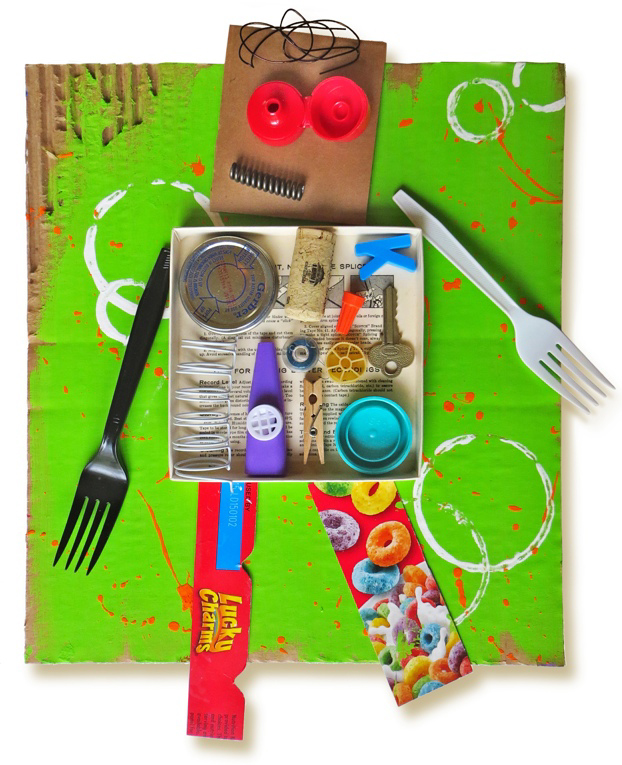 Just have your kids bring in a piece of cardboard and some recycled items they find around the house. Then follow Creativity Connections directions which can be found here. These robots would make a colorful and impressive bulletin board or hallway display. It’s definitely something the kids can have fun with! 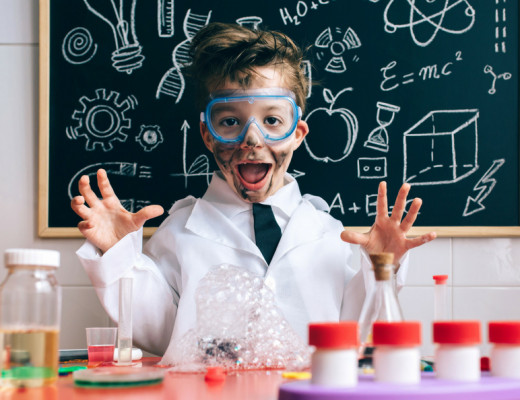 Your kids can even name their robots and write creative stories about them. This is definitely an activity to consider! With this next project, I’m going to help you kill two birds with one stone! 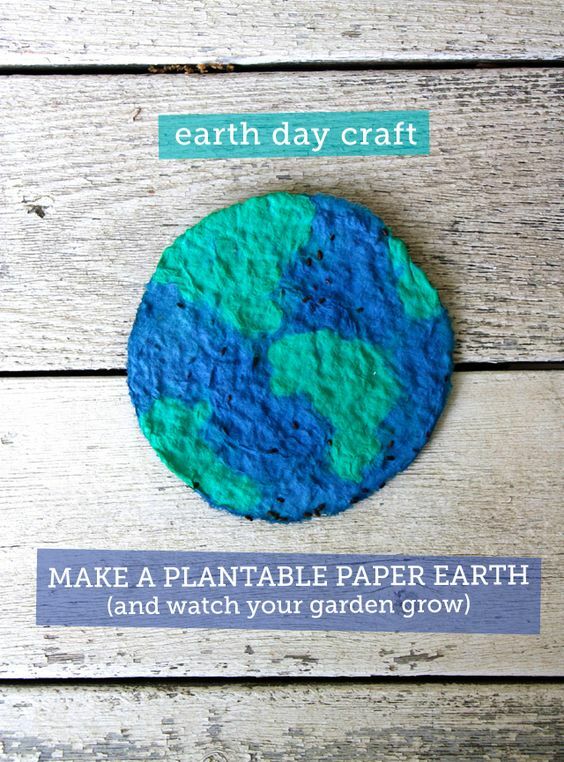 This next activity is somewhat of a combination of making recycled paper and planting seeds. 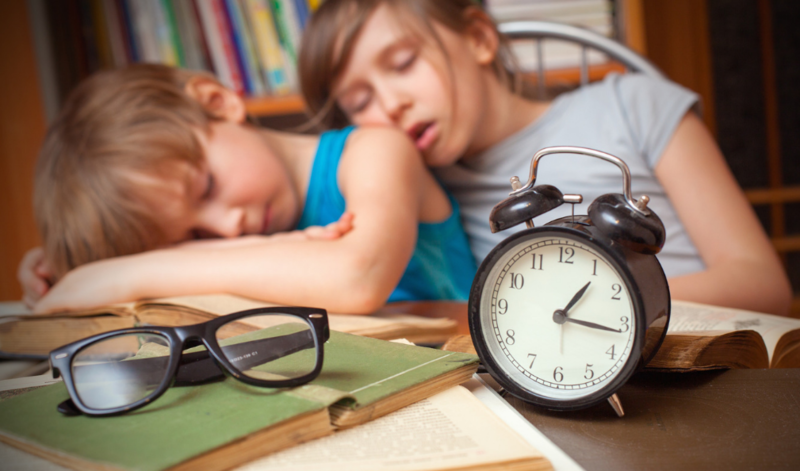 So if you’re in a pinch for time, you might want to consider doing this 2 in 1 project instead. Modern Parents Messy Kids has a great set of directions right here . And if you’re visual like me, don’t worry there’s also beautiful pictures to explain every step of the process. 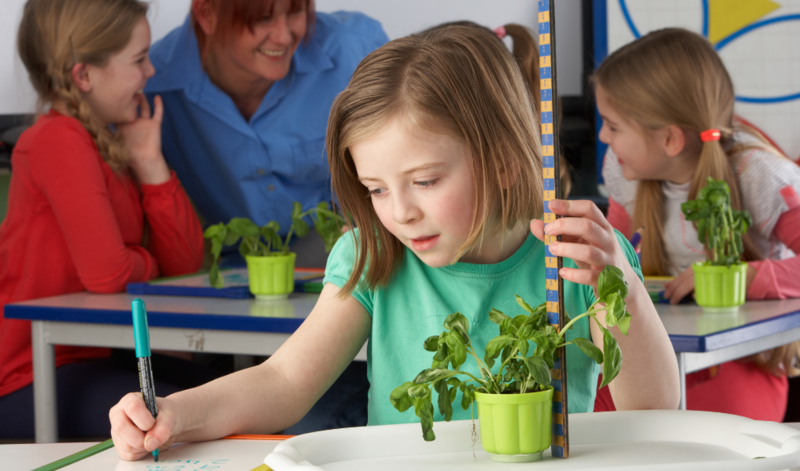 To end our fun filled week, I thought we’d do some cooking in the classroom! Here’s a great set of directions from Oh! 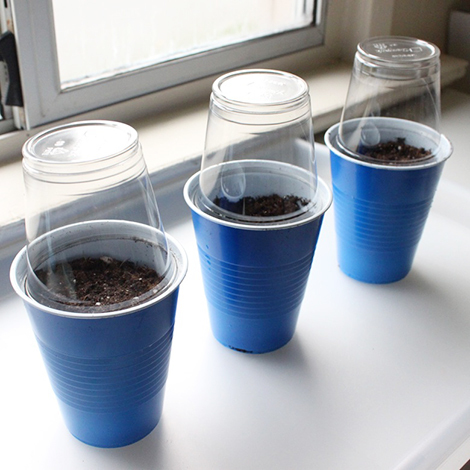 Nuts on how to make Dirt Cups. Now I know that the name doesn’t sound too tasty to us, but that’s exactly why the kids are going to LOVE It! I mean who can resist chocolate pudding and GUMMY WORMS! 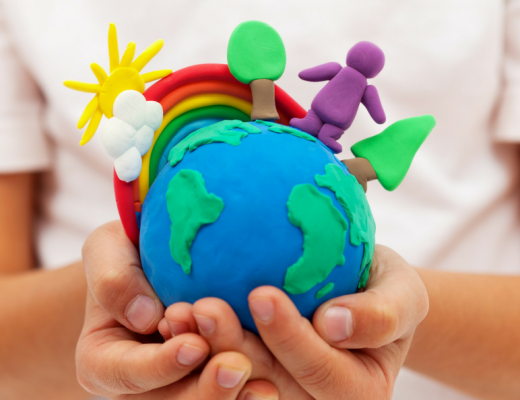 What do you think about these Earth Day activities? 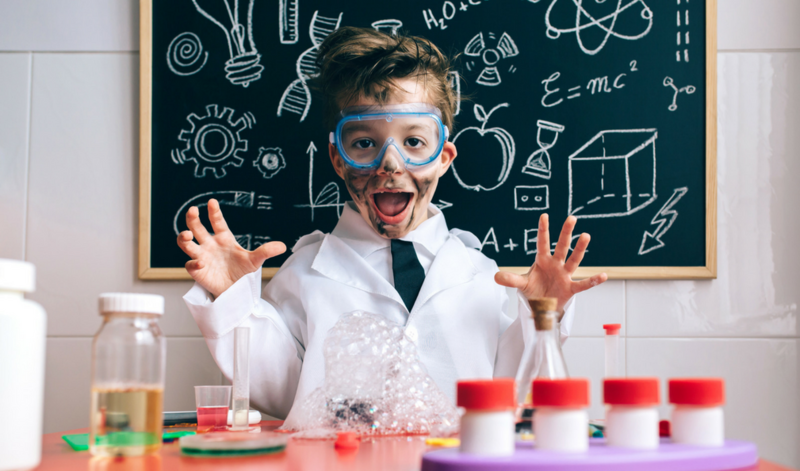 Do you see something that you know you’re kids would absolutely love to do?